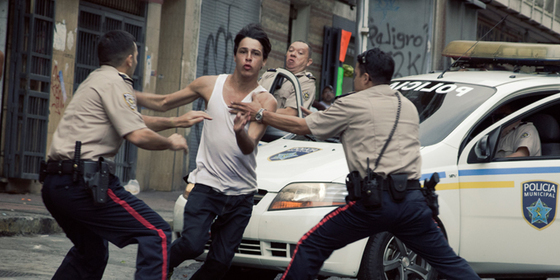 The macho stereotypes of Latino men had never been shown so vividly and so questionable in a movie until “From Afar” or in Spanish “Desde Allá” came into the game. 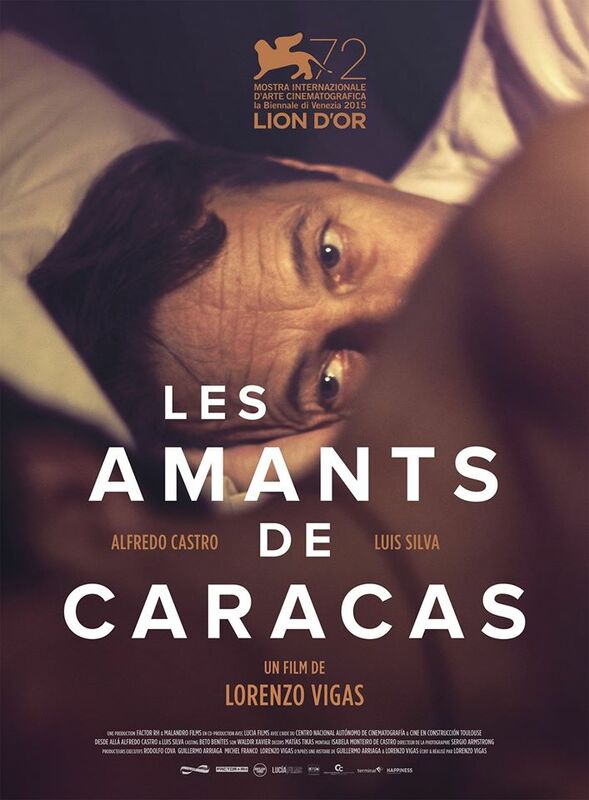 “From Afar” is a sensual risqué, sexually divergent, a hyper-realistic motion picture that illustrates the raw and volatile sexual life of confused Latin men. 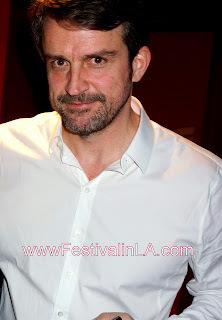 The winner of the Golden Lion at the Venice Film Festival had a sold-out screening at the AFI FEST 2015 in Los Angeles where we met the visionary director Lorenzo Vigas. 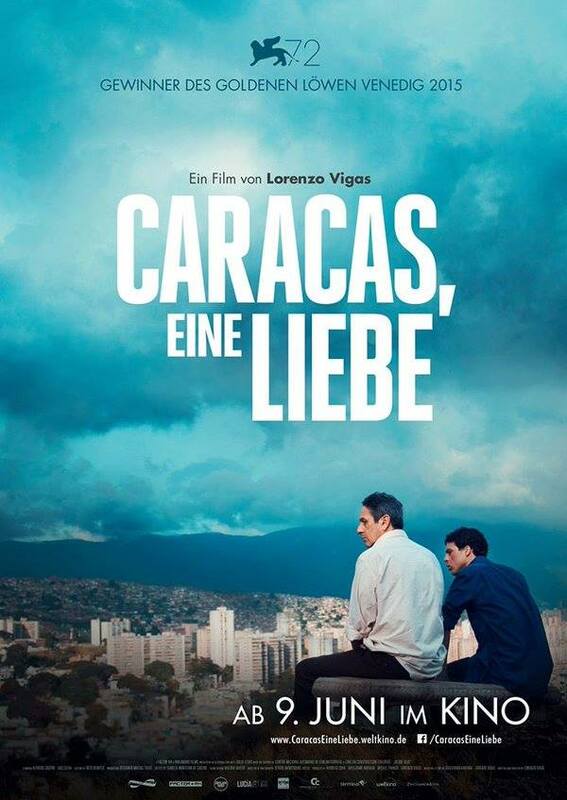 Vigas, in his first work, masterfully and realistically takes us on a trip inside the box of the conglomerated geography of Caracas - showing the massive contrast between the affluent areas and the slums, where the young steal, do drugs and beat themselves to death, and the rich just don’t care. The interesting camera-work shows the city as crude and depressing as it can be, with its social differences and contrasting environments. 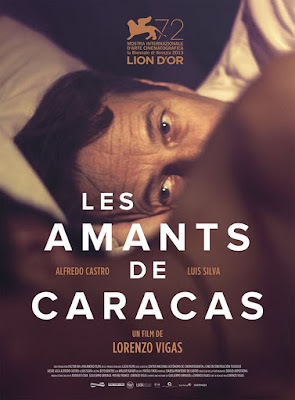 The action starts with the fetishism and the sexual deviations of an uneasy middle-aged, dentures artisan named Armando, marvelously portrayed by the renowned Chilean actor Alfredo Castro (“Tony Manero,” “The Clan,” “Neruda,” “No”). 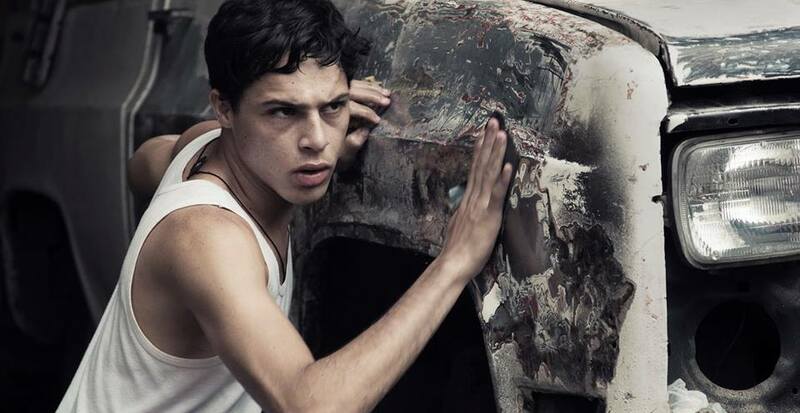 Alfredo Castro is one of the most beautiful actors in Latin-America. Armando, afraid of intimacy, has an infatuation for young guys, who he pays to show their naked backs while he enjoys masturbating. 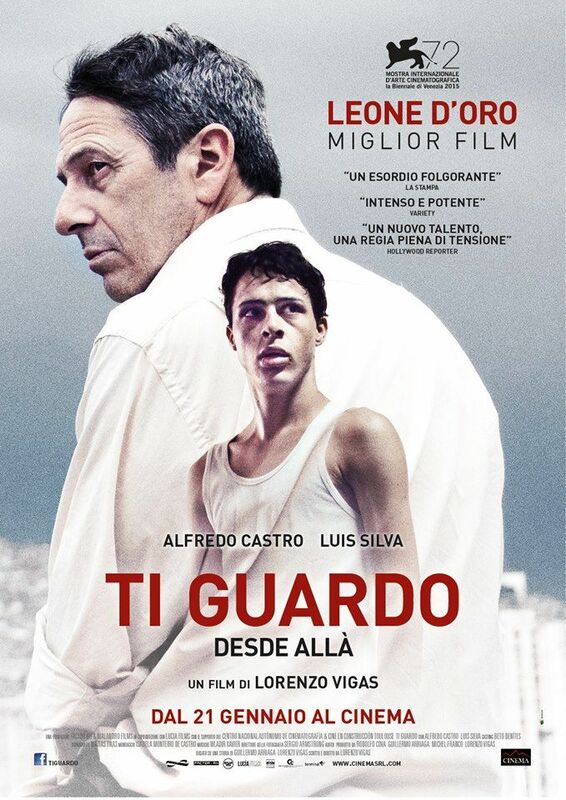 When Armando bumps into a young guy named Elder, extraordinarily played by a newcomer Luis Silva, his world is turned upside down. Elder has all the characteristics of the traditional macho tough Latino man with nothing to lose, but because of his economic condition, the need for money leads him to prostitution. The natural obsessions and social prejudices will severely affect the newly made relationship. The tension builds way up at Elder's sister's Quinceañera when he and Armando show up elegantly dressed up for the "Barrio's" celebration. Elder, naively, doesn't know how to show his gratitude, and after a few drinks expresses his feelings for his benefactor in public, becoming a whole new world of discovery and contradictions. Homophobia rules the streets, and peopl see the same gender love treacherous. In the bedroom, they struggle to become intimate, but when they do it, the mystery breaks the enchantment. Armando is obsessed with viewing naked men, but he cannot relate to anyone physically and places emotional barriers to the people who rare for him. Elder is impulsive and uses his body to express gratitude and contempt, intensively. 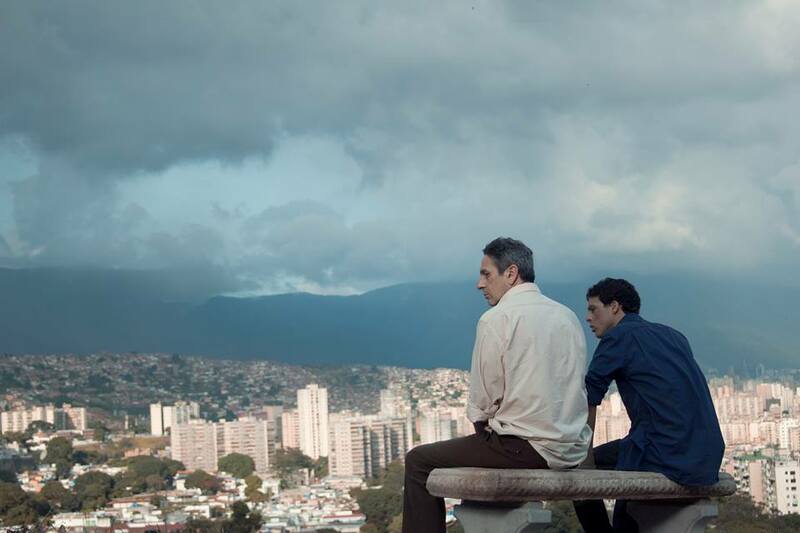 “Desde allá,” accurately and seamlessly, handles the universal themes as loneliness, lack of communication, and fear to express emotions, a paradigm of our times. 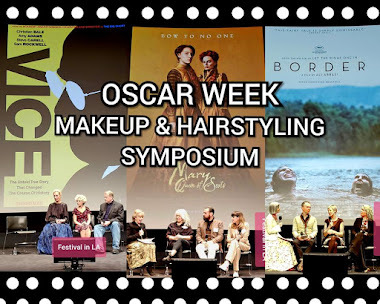 The intricate screenplay is written by the Award Winner Mexican screenwriter Guillermo Arriaga (“Babel” and “The Burning Plain”), a, d it is based on an original story by Lorenzo Vigas. The style of hyper-realistic filmmaking in "Desde Allá" is strident and exposes the characters in focus, blurring the backgrounds, washing the colors out, producing a closer connection between the actors and the audience. 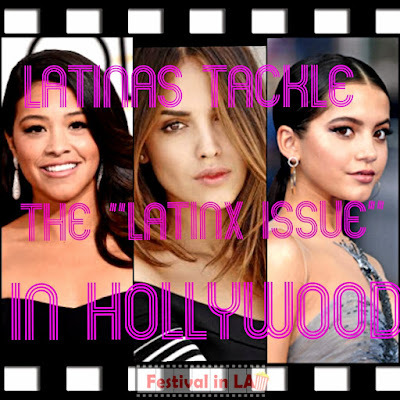 The new fearless filmmakers pouring from Latin-America are revolutionizing the way the story is told on the big screen with a signal significant number of hyper-realistic movies, by maximizing the artistic value and lowering the production cost. 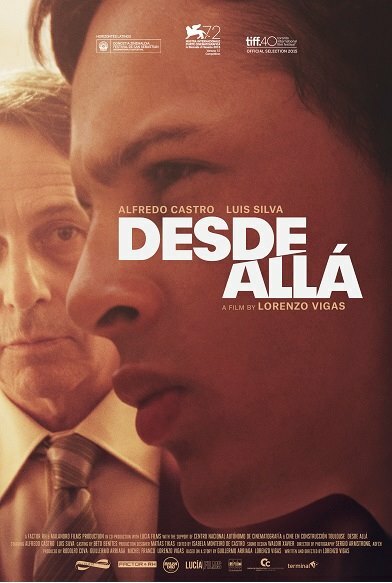 “Desde allá” flows with authenticity and realism, it shows the complexity of the characters with humanism and expands the cultural horizons of many viewers who think, in this day and age, that to love another person of the same genre is insane, immoral, and in some countries, a crime. This Venezuelan film raises so many questions such as: How much homophobia and prejudices affect the growth of a person? How many stigmas of discrimination and stereotypes are in our society? How far can you go for someone you love? How would you love a person from afar, if you are so close and so afraid to be in love? After the horrific attack in Orlando to the LGBT community, the timing of this movie from Venezuela couldn’t be any better because “Desde allá” puts the finger in the wound.